Everyone forgets Floyd Mayweather’s boxing style is “Defense based” designed for “Winning” boxing matches. Especially this one, since not only the legacy was riding on it, but a personal Collective Payday of over $200,000,o00.00 for just HIMSELF. He was NEVER going to approach this fight with a “Mike Tyson Aggressive Offensive Mauling” style to “kill” like a “UFC blood battle” which would have been “reckless” and could have possibly compromised the Legacy of “Undefeated”. Floyd Mayweather’s style is “Smart Boxing” and based on calculated points to secure the Win, which most people were NOT expecting. For this kind of PayDay they had wanted to see something close to a “bloody, up against the rope Mauling” to justify there ticket and the hype of the “Fight of the Century”. Floyd’s ONLY objective was just to WIN as he had projected when he tweeted and put on his Instagram “48-0, Undefeated” during training camp long before the fight began. 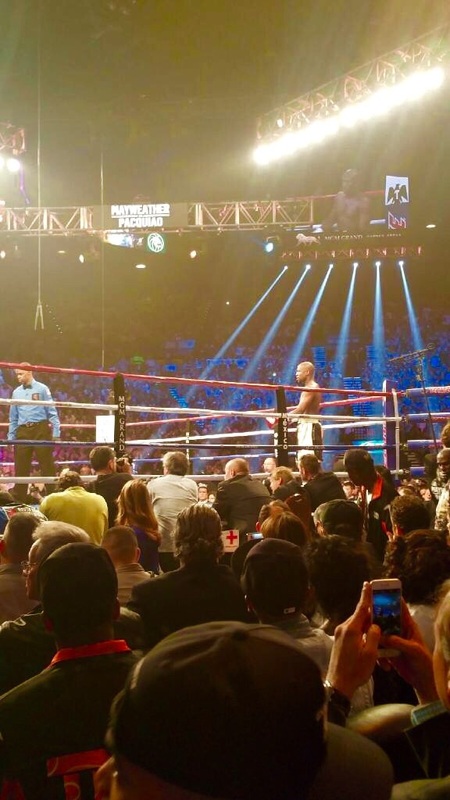 Many people try to joke and say Floyd cant read or count because he is dyslexic (Mostly brought on by jealousy of his affluent lifestyle he has Earned) . What he definitely CAN count are the Number of zeros in a row on a Paycheck and Bank account and Most importantly the points racking up from Bell to Bell during a fight he has designed to Win. When I am with him he is always stressing the point of “Protect the Legacy” translated means “0 losses”. I am the Real one who talked Floyd Mayweather into MayPac the “Fight of the Century”. 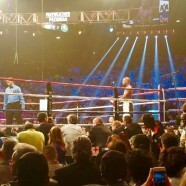 Floyd Mayweather vs Manny Pacquaio from the 6th Row at the MGM Grand, May 2, 2015. The Fight of the Century. Keith Middlebrook of Keith Middlebrook Pro Sports.